Dry shampoos are not a new discovery. They have been around for many years now. Who would have thought of using baby powder to get rid of grease and oil from hair? Well, it can help prevent the hair from becoming too clogged with styling products. The question is how to use baby powder as a dry shampoo alternative? They are handy items to have in your purse or travel bag, however, when it’s not available, there can be times when you run out and need a replacement in a hurry. When this happens, use baby powder instead. Having coarse, curly hair means you wash likely on a daily basis. However, this will dry the hair out completely robbing it of its natural oils, and this is not good. Even if your hair is fine, it will easily attract dirt and pollutants. No matter what type hair anyone has, washing it every day is not healthy. To help keep the hair clean in between washing, some people rely on a particular dry shampoo for black hair or dry shampoo for colored hair. It’s a great alternative to when you don’t have the time or when washing is not an option. Others feel it the chemicals which make it harmful. Besides, some brands are expensive. Will Baby Powder Dry Out My Hair? Purchasing a dry shampoo is so easy. It’s on the internet as well as on the department store shelves. However, buying the right one is more complicated. Some brands cost more, and some have more chemicals, and we want to avoid chemicals, right? Trying to save money and get the best product, well, that’s tricky. Many people, to get the best of both worlds, use baby powder. If you want to save money, it’s worth considering. Some dry shampoos contain baby powder or talc already, so you’re not doing something that’s totally weird. The choice to leave in overnight may worry some users. It may look gray or appear flat, but not to worry about the way the hair looks now as the hair will look fabulous in the morning. Some people don’t like the way it smells, but maybe there’s an unscented version. Using a dry shampoo means giving hair the appearance of being clean and fresh. It does this but without water. Anyone can purchase it in either a powder or a spray. Once you apply it, the dry shampoo will soak up all of the dirt and grime from the scalp. Not only that, but it will leave the hair smelling just as fresh as it looks. When you use the alternative to a wet shampoo, you won’t have to use water to clean your hair. It’s as simple as that. However, it shouldn’t take the place of actually washing the mane. If there wasn’t any dry shampoo around, use baby powder. Money was not plentiful in the household so saving it was essential. Besides, the powder works pretty much the same way as a store-bought brand. 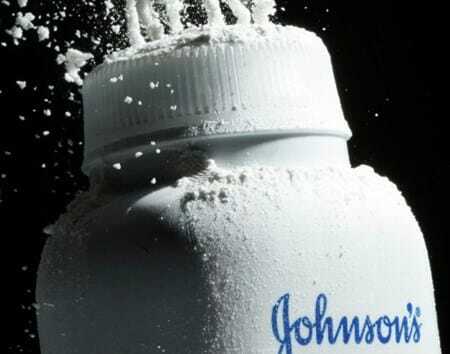 Baby powder contains talcum powder. It’s used in cosmetics and for hygiene purposes. Safe to say millions use it in their household for one reason or another. Some experts, not all, say it’s a carcinogenic component. This means no one should inhale it or they will be at risk for certain cancers like lung, skin and ovarian. Talc powder irritates the lungs period. In fact, studies were done including one by the US National Toxicology Program. Take that for what it’s worth. More recently, a family won a court case and received damages because a family member used baby powder as a method of feminine hygiene. She eventually died of ovarian cancer. Thus medical examiners and professionals are taking a new look at talcum powder. Unfortunately, baby powder is under investigation. So, what to do? The answer may lay in finding a happy medium between routine washings, dry shampoos and baby powder. Used too often, dry shampoo can dry out the scalp. Pour a baby powder into the palm. As a bonus and tips on how to use baby powder in hair, you should know it works wonders removing sand. Have you been to the beach or playground lately? Did sand get in the hair? Here’s a solution. Since baby powder contains talc, it absorbs moisture as well as loosens beach sand from the hair. The thing about dry shampooing and baby powder is that too much of it can do damage. Both are meant as a temporary variation of wet shampooing, and not as a replacement. Over washing the hair can be just as harmful. This strips the hair of its natural oils and dries out the hair. However, the effects are never the same for everyone. Baby powder and dry shampoos help to reduce oils or sebum from the scalp. For some, the baby powder alternative doesn’t last quite as long as a dry shampoo. Not only that, but the hair could become too soft if there were such a thing. Sadly, hair becoming too soft is a thing, and when it’s like this, the hair doesn’t hold a style long at all. Additionally, the hair doesn’t appear to have any volume. While getting rid of grease, dirt, and sand from the hair, remember baby powder or dry shampoo aren’t meant to replace regular hair care. If it’s used – rather, overused, the hair can become dry, and the scalp will start to flake. Leaving baby powder on the hair and scalp too long will cause sore patches, and clog up pores. It’s too easy to become dependent on a quick fix. However, we strongly suggest using baby powder sparingly. Stylists and expert cosmetologists suggest the consequences are not positive ones. The scalp, in many cases, will start to itch, maybe even fall out, and possibly, pimples will pop up unexpectedly. Some people report having an allergic reaction to the talcum powder. So, if this is the first time of usage, try a little on the scalp before applying to the entire head. If it does well, then continue with the instructions on how to use baby powder as a dry shampoo or to clean the hair. We know washing the hair too often will dry out the hair and scalp. When this happens, the strands break easily, the hair is brittle, and we develop split ends. Nonetheless, some people must wash their hair frequently. Under those circumstances, we recommend using an alternative to shampooing every day. Baby powder makes the hair smell fresh and looks more shiny and bouncy. When a baby powder is used instead of a shampoo, you get almost the same results only it’s less expensive.